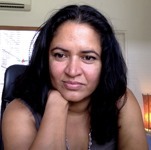 Naomi Hossain is a Research Fellow at the Institute of Development Studies (IDS) at the University of Sussex, UK. Naomi was initially involved with ESID to support the Bangladesh team working on the political economy of education reform, as part of the project on Education in competitive clientelist contexts: Bangladesh and Ghana. She is currently helping Sam Hickey to synthesise all the education work. She is also working with Benjamin Chemouni on a paper about elite commitment. Naomi has always been interested in the politics of poverty, but has focused more specifically on the politics of subsistence crises since the 2008 food crisis. She is particularly interested in the informal politics through which public services and programmes get designed and delivered. She has recently finished a book about the political economy of Bangladesh, looking at how the political settlement was re-set by the 1974 famine, and how that contributed to its pro-poor, women-oriented development agenda, and in particular its focus on preventing crises of subsistence and survival. Hickey, S. and Hossain, N. (eds.). (2019). The Politics of Education in Developing Countries: From Schooling to Learning. Oxford University Press. OPEN ACCESS. Hossain, N., Hassan, M., Rahman, M. A., Ali, K. S. and Islam, M. S. (2017). The problem with teachers: the political settlement and education quality reforms in Bangladesh. ESID Working Paper No. 86. Manchester. Hossain, N. (2017). The Aid Lab: Understanding Bangladesh’s Unexpected Success. Oxford: Oxford University Press. Hossain, N. (2018). ‘The significance of unruly politics in Bangladesh’. Chapter 7 in I. Basu, J. Devine and G. Wood (eds. ), Politics and Governance in Bangladesh: Uncertain Landscapes. Abingdon, UK and New York: Routledge. ‘Them Belly Full (But We Hungry)’: Food Rights Struggles in Bangladesh, India, Kenya and Mozambique. Project report (2015, DFID-ESRC). Download pdf. Read Naomi’s IDS staff profile. Read about the research project on ‘Life in a time of food price volatility‘ on which Naomi is working.